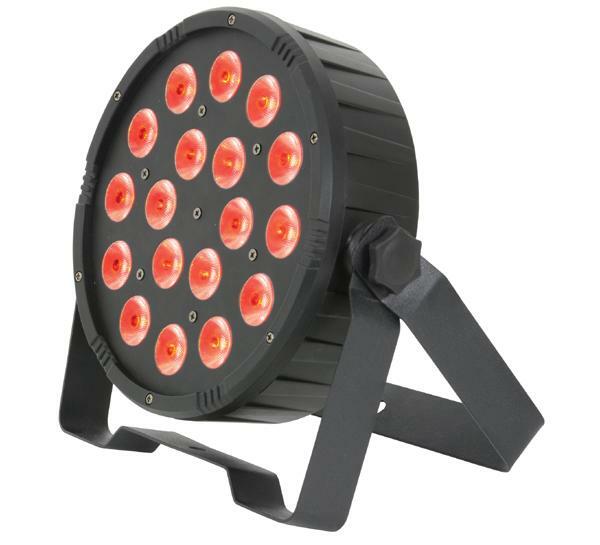 A lightweight and compact LED PAR Can fitted with 18 3-in-1 RGB LEDs. 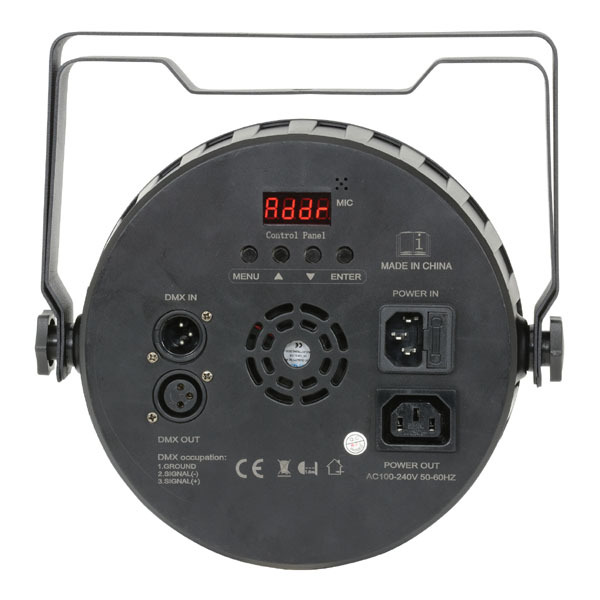 This unit can be controlled by auto, sound-to-light, master/slave programs or via DMX. 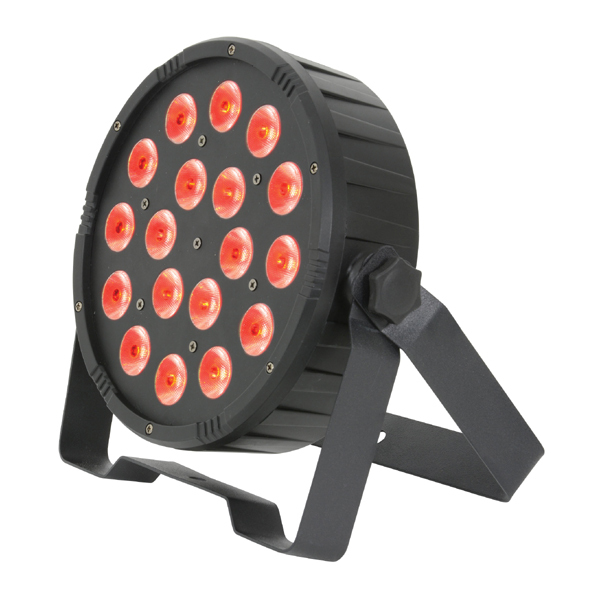 A great value solution for background wash illumination.